Return Details: The tour shall end next to the entrance to the gardens of Villa Melzi, where lunch will be served. After lunch a 15 minutes walk through the gardens and along the lakefront will bring guests back to the city center and public boats. The sense of beauty has its origins in Bellagio; you feel it all around you, in the splendor of its noble mansions and villas, in the elegance of its boutiques and in the slower pace of life of its inhabitants. During this unique 2 hour and a half walking tour we will explore Bellagio’s historic centre and its marvelous and hidden surroundings. The tour will end by the entrance to the gardens of Villa Melzi, where lunch will be served at an gourmet Michelin listed local restaurant. During this unique 2 and a half hour walking tour you will explore Bellagio’s historic center and its marvelous and hidden surroundings. The first stop is Punta Spartivento, allowing you to admire the superb views of the lake’s three branches against a towering alpine background. We will then walk through the picturesque and colorful steep stone alleys of the hamlet bringing us to the characteristic fishing village of Pescallo. Moving on over the hills to Aureggio, the upper part of the peninsula crossing lush gardens and olive groves, we pass by noble villas and Romanesque churches descending a grassy path to the port of Loppia, home to rare examples of 19th century Larian Gondolas. 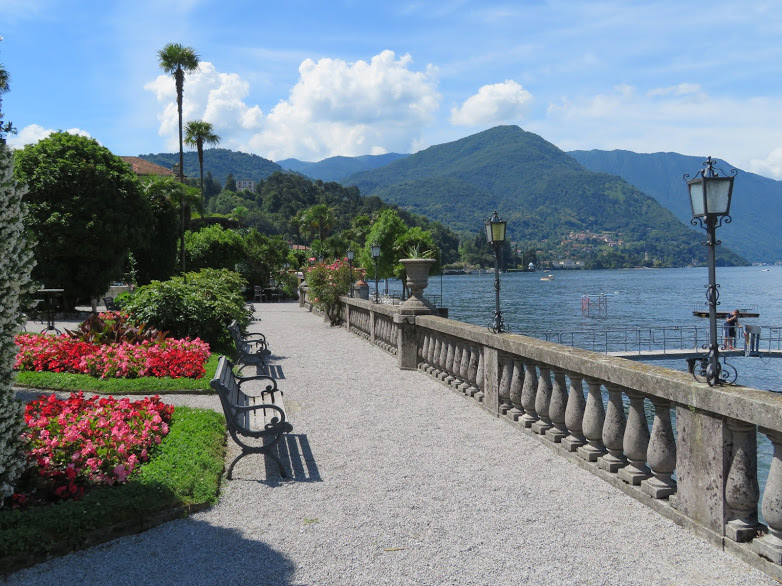 The tour continues with another highlight, the romantic gardens of Villa Melzi where our tour guide will introduce you to the history of the gardens and of the villa before taking you to our last stop, a gourmet Michelin-listed lakefront restaurant located by the entrance of the gardens. Here you will be able to relax while being served a delicious lunch, that includes a typical Italian appetizer, a home-made pasta dish, a glass of fresh local wine and our world-renowned espresso. You will fall in love with this enchanting location: small elegantly set tables gathered under a wonderful pergola overlooking the lake and the small fishing port of Loppia. After lunch you shall be free to explore the gardens of Villa Melzi, using the tickets provided by our guide, and relax while taking in the colors and atmosphere of this enchanting place.